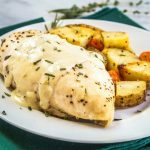 Lemon Herb Chicken with Roasted potatoes is a complete, delicious meal. Even though it cooks in just 30 minutes, this sauce will have people thinking it took all day. Why do people start blogs? It’s not because we desire a lot of hard work and it’s definitely, in my case, not for the money. It’s for the relationships that we establish. Friends that you make and may never meet but look forward spending virtual time with. 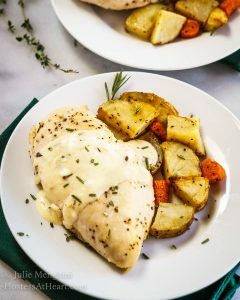 Friends that create amazing dishes like Lemon Herb Chicken with Roasted potatoes! 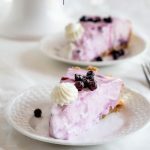 A group of fellow bloggers has gotten together to try some of our favorite recipes from Michelle’s blog to share with our readers and on social media. It’s my hope that you will send some of your love her way while she recoups. The hardest part of all of this was deciding on a recipe. There were so many that I wanted to make! 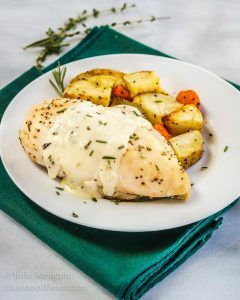 Needing dinner inspiration, I selected her Lemon Herb Chicken with Roasted Potatoes. The only change that I made was to throw a couple of carrots in with the potatoes. I had my whole meal finished and on the table in 30 minutes. Add potatoes to a rimmed baking sheet. Drizzle with olive oil and salt and pepper. Bake for 10 minutes. Brush chicken with olive oil and salt and pepper. Add to baking sheet. Bake for an additional 20 minutes. While chicken bakes, melt 2 tablespoons of butter in a medium-sized saucepan. Add garlic and saute until fragrant (one minute). Combine Dijon mustard and white wine and whisk together. Add cream to wine mixture, whisking to combine. Mixture should start to thicken. If not, dust with a small amount of flour until mixture starts to thicken. Add chicken broth to loosen the sauce up slightly, and mix until thoroughly combined. remove from the heat. Add the last tablespoon of butter and stir until melted. Stir in lemon juice and fresh herbs. Once chicken has cooked for 20 minutes, broil for 2 to 3 minutes to brown it slightly. Plate chicken and roasted potatoes. Spoon sauce over chicken right before serving. This dish was beyond delicious! 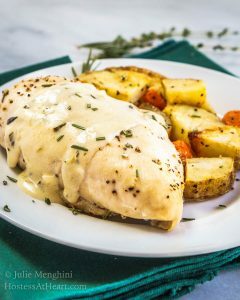 That sauce is smooth and creamy and the lemon and herbs elevate this dish beyond ordinary. I will definitely be putting this dish to my list of favorites. It wasn’t a hardship having the rest of the wine with dinner either. 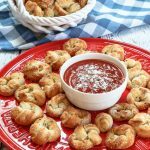 Here are the recipes that some of Michelle’s other friends are sharing! This looks great. I love that it only takes 30 minutes to make as well. Perfect for a nice family meal! I love an easy 1 pot or 1 pan meal and all these are loved by my kids too which makes it easier! Thank you, Jennifer! I love all of that too! I love simple, easy meals this like. The sauce looks so mouth watering! Thank you Jhuls. A dish like this is so refreshing after all of the holiday dishes! I look forward to connecting with all of our FF friends in 2017. Happy Holidays Jhuls! I have a couple of recipes using these flavors with chicken and potatoes but not with such a good sauce. Thanks for sharing – I will have to try this. This was so good Judi. I love dishes that taste good but aren’t full of fat and calories! 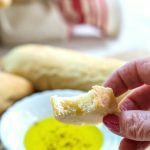 This is my favorite type of recipe…just a few ingredients that make the recipe special and very easy to do! Looks delicious especially the roasted potatoes!! Happy Holidays to you.. Thank you so much, Teresa! I agree with you. A delicious quick and easy recipe is the best! This chicken dish sounds so good-I bet the chicken tastes amazing with the lemon sauce! what a lovely, yummy meal! Thank you, Justine! Can’t go wrong with Michelle’s recipes! Oh that sauce is a winner for sure! I love the combination of lemon with chicken. This whole meal sounds really fantastic! Looks delicious!! I love this recipe. I haven’t made it, but now I will. Thank you Christie! Like all of Michelle’s recipe I’ll definitely be making this again. 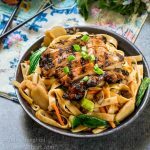 Such a sweet gesture 🙂 This chicken dish looks great and I love that you can get it on the table in 30 minutes! Thank you, Sarah! It is a delicious dish too! This sounds delicious! Thanks for sharing at Fiesta Friday! Ahhhh great minds Julie. 🙂 My chicken dish today also included white wine. Love a boozy meal don’t you? It looks delicious. I wish your blogger friend Michelle a speedy recovery. It’s nice that all her friends are around here during this time. Thank you, Loretta! Great minds or at least tummy’s think alike! I just loved your dish and I’ll be trying it too. I love the holidays but why does it seem like there are illness, accidents, and deaths this time of year? I guess it just makes you appreciate what’s really important like friends like you!! !